Prominent N.Y. editors and international design bloggers attended the exclusive kickoff media event for The Eric Ripert Kitchen by Poggenpohl for Modenus NY 2012 BlogTour. "It was a pleasure to work with one of the most revered designers to create a beautiful kitchen that is the most efficient possible …," states Eric Ripert. 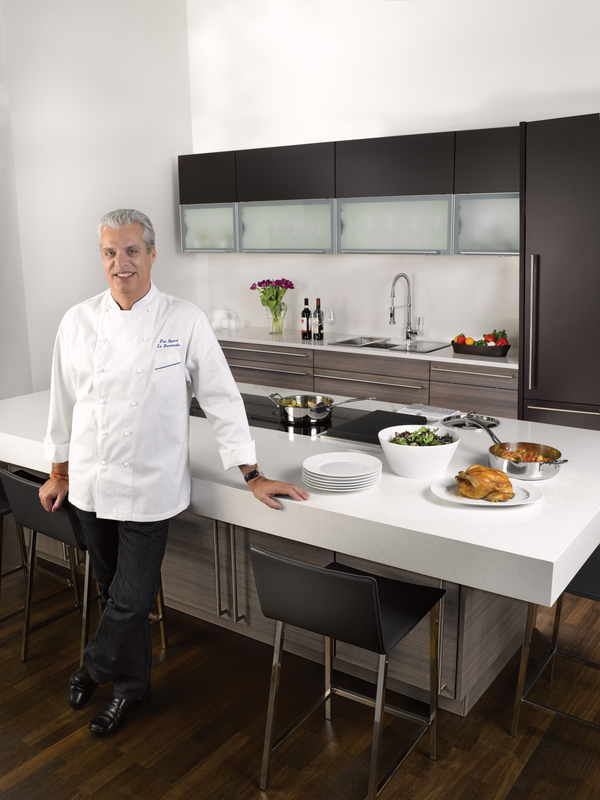 The kitchen design experts at Poggenpohl and celebrity chef Eric Ripert recently launched The Eric Ripert Kitchen by Poggenpohl to kickoff Modenus Blog Tour N.Y. 2012. A group of international design bloggers and New York media got an exclusive look at the groundbreaking and eco-friendly kitchen concept. The social media event was sponsored by Poggenpohl, BLANCO and Modenus.com. Eco-friendly Poggenpohl textured teak lava and terra melamine cabinetry. Narrow pullout drawers and vertical cabinets store essential ingredients and cooking utensils right at the cooktop. Ripert also specified innovative details such as a plating area in front of the cooktop to prep dishes as he completes them. Chef inspired for the home fixtures: BLANCO Precision™ 16’’ SteelArt® sink and BLANCO Meridian™ Semi-Professional faucet. Eric Ripert, chef of the celebrated three-star Michelin rated New York restaurant Le Bernardin, cooks with Poggenpohl and BLANCO at home and on his Emmy award winning TV show Avec Eric. 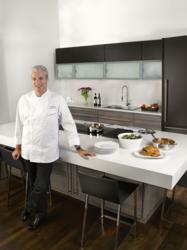 To learn more about The Eric Ripert Kitchen by Poggenpohl, visit http://www.aveceric.com/kitchen. For three generations, BLANCO has quietly and passionately elevated the standards for luxury sinks, faucets and decorative accessories. http://www.blancoamerica.com.